PROTO Connect Board is used to connect a prototype device to external modules via a screw terminal. External connection is enabled via the screw terminal. Components available on the board are clearly marked, which makes connection easy. 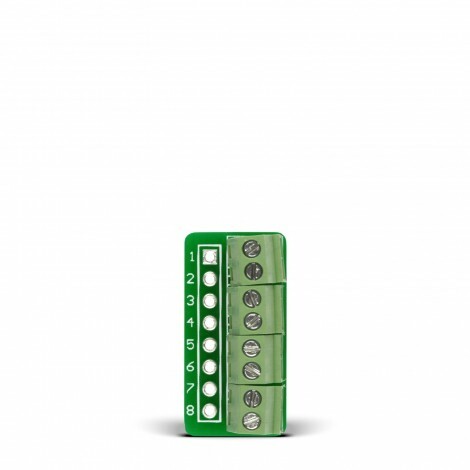 PROTO Connect board provides a convenient way of connecting eight wires from power supply, communication, analog or GPIO lines to the target breadboard. Board features eight screw terminals and eight connection pads in standard 100mil distance. Board is compact and cheap thus making is a good choice for prototyping.